Within a period of around 20 years voestalpine has developed from an Austrian state-owned enterprise to become a global technology and capital goods group with a hugely diverse workforce. "Innovations don’t arise where everyone thinks the same way." When it comes to these characteristics, the global crew at voestalpine is undoubtedly the perfect model of diversity: 27,922 of its employees—54.1% of its 51,600-strong workforce—work outside Austria. For comparison, in 1995 the company had a workforce of just over 15,000 employees. Of that number, fewer than 500 worked for voestalpine outside the Alpine republic. Today more than 2,500 voestalpine employees work in the USA, and another 2,000 in Brazil. Consequently, 11.6% of the overall workforce are based on one or other of the two American continents. Four of every 100 employees are working hard for the company in China, and every six in 100 are doing the same in Germany. Even so, they won’t all have a German passport: the workforce at almost every voestalpine site incorporates a diverse range of nationalities. The Dutch NEDCON Group, part of the voestalpine Group, employs people from 18 different nations, and attributes its power to innovate primarily as the result of its cultural diversity. 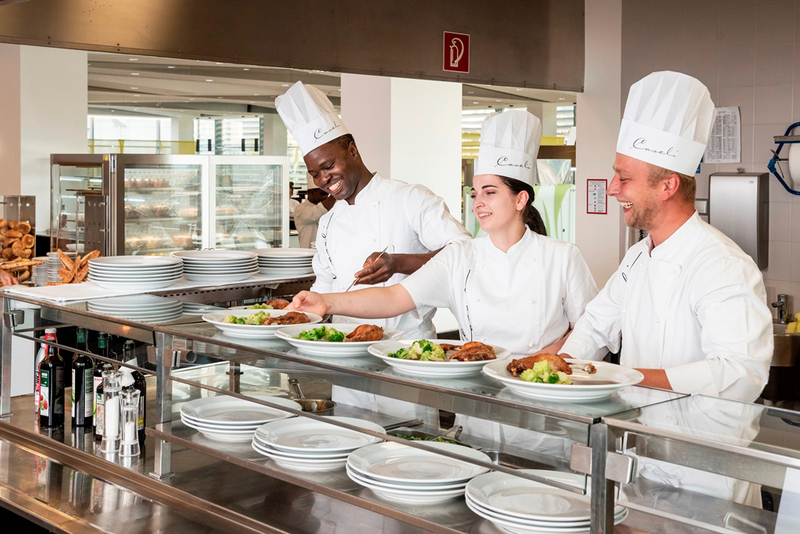 At voestalpine company Caseli employees from 26 different countries cater for their colleagues at the site in Linz. The company is extremely satisfied with the wide range of nationalities working within the Group, but is looking to change the gender balance: women make up only 14% of the workforce. “A number we’d very much like to increase,” as CEO Wolfgang Eder candidly states. But it’s not the case that much hasn’t already been done to achieve this: over the past years so many female employees have joined the workforce that the female quota in production has more than doubled in 20 years. Almost 29% of salaried employees are female, as are 12% of the executives. In contrast, the age structure within the Group is highly uniform: the average male employee is 41.3 years old, with the women 39.7 years of age on average. And the average age of the workers (40.4) is only 2 years less than that of salaried employees (42.2). In total, the average age of employees in the voestalpine Group is 41.1, i.e., they are in their prime. This is a demographic asset which, together with our exemplary workforce diversity, ensures that we live up to our claim of being one step ahead.